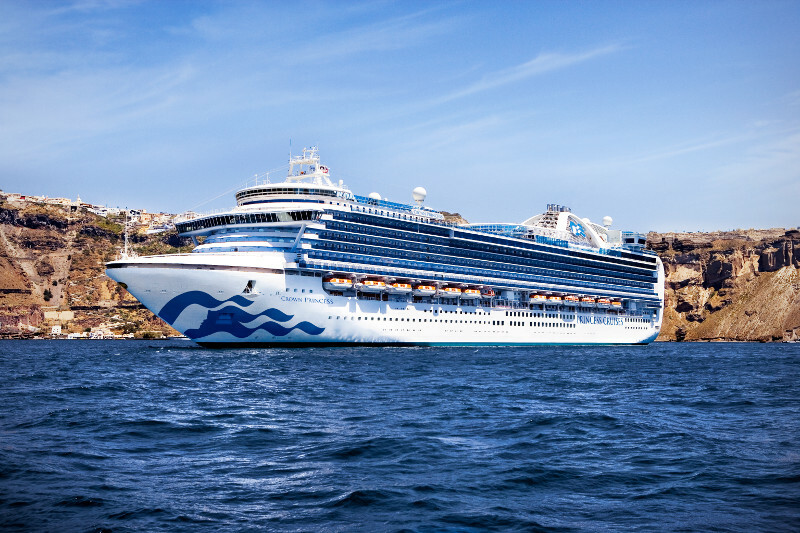 Enjoy sweeping views of the world while sailing on Crown Princess®. From her nearly 900 balconies to the breathtaking three-story Atrium, you’ll discover a relaxing atmosphere filled with an array of world class entertainment and dining options that will greet you each day when you return from making fascinating discoveries ashore. downtown (it brought the world such bands as R.E.M. and the B52s). But you don’t have to look far to find the Old South: It’s apparent in the many Greek Revival homes and buildings that dot the city, the best example being the Taylor-Grady House. The University of Georgia, across the street from downtown, boasts a number of these Greek Revival buildings, including Demosthenian Hall and the president’s house. The university is where you’ll also find the Georgia Museum of Art (a collection heavy in 19th- and 20th-century American and Italian Renaissance paintings). Off campus you’ll find the Church-Waddel-Brumby House, the oldest surviving residence in the city, now serving as the visitors center. Athens is also home to the fragrant State Botanical Gardens of Georgia. Nature trails wind through the gardens of native flora — the rose garden is especially nice (it blooms May-November). Southeast of Athens in Washington is the Robert Toombs House, the restored home of a recalcitrant Southern politician who hated the North for political reasons and hated the Confederacy almost as much for not electing him president. One of the least mellow individuals the smooth-as-silk South has produced, Toombs never gave up his secessionist fervor or his cantankerous manner. 66 mi/106 km east of Atlanta. iron and steel, machinery, paper, and textiles. Bilbao is an important seaport, and iron ore, grain cereals, and wine are major exports. The chief imports are coal and timber. institutions is the University of Deusto (1886). The author and philosopher Miguel de Unamuno y Jugo was born in Bilbao. Bordeaux (bôrdo¢), city (1990 pop. 210,336), capital of Gironde department, SW France, on the Garonne R. It is a busy port, accessible to the Atlantic, with important shipyards and industries. Wine is its major product, with Bordeaux the generic name of the region’s wine. A prosperous Roman city, it flourished (11th cent.) as the seat of the dukes of Aquitaine. Eleanor of Aquitaine precipitated war between France and the English, who ruled the city (1154-1453). The city reached its height of prosperity in the 18th cent. It was the temporary seat of French government in 1914 and 1940. Brussels, (brùs´elz) Fr. Bruxelles, city (1991 est. pop. 140,050), capital of Belgium. An important manufacturing center, it is also a seat of the European Union and of NATO. Brussels was inhabited by the Romans and later (7th cent.) by the Franks. It developed into a center of the wool trade in the 13th cent. and became (1430) the seat of the dukes of Burgundy and later (1477) of the governors of the Spanish (after 1714, Austrian) Netherlands. In 1830 it became the capital of an independent Belgium. Its historic buildings include the Maison du Roi (13th cent. ), Gothic city hall (15th cent. ), and parliament building (18th cent.). The birthplace of Christopher Colombus, Genoa is located in northwestern Itlay at the arm of the Ligurian Sea. It is an important industrial central for northwest Italy. Welcome to Gibraltar… Throughout the ages Gibraltar has stood guard over this geographical gateway, the meeting place of continents. This unique position has always distinguished the spectacular rock monolith and today Gibraltar offers the discerning traveller a fascinating blend of heritage, style and culture. As a member of the British Commonwealth and located at the most southerly point of the Iberian peninsula, both English and Spanish are the everyday language of the Gibraltarians. The climate is warm and the local people are welcoming with a friendly charm borne of a blend of many cultures united in a unique community. This cosmopolitan society has so much to offer whether it’s business or pleasure. Kusadasi is a charming fishing village and resort on the Turkish coast.It is also the port for the ancient ruins of Ephesus, once a city of 250,000 inhabitants. The town overlooks the most beautiful inlet of the Aegean Sea and is a pure delight for the discerning traveler. Madeira is an island of unbelievable beauty set in the middle of the Atlantic Ocean, about a one and one half hour flight from Lisbon. As it lies parallel to the coast of Africa, it has gentle weather — a moderated climate all year round. Perfect for golf. Mountains drop abruptly into the sea and surround small fishing villages at their base. Just west of Funchal, the capital city, lies Cabo Girao, the second highest cliff in the world. Discovered in 1420 under the sail of two officers of Henry The Navigator, Madeira has been a port of call for many ships over the centuries. The island is volcanic in origin, and the flowers that have been brought here have multiplied greatly over the centuries. The spectacular Blandy Gardens, northwest of Funchal and the neighboring property to Palheiro Golf and Casa Velha do Palheiro is a tribute to this flora. After a round of golf at either of Madeira’s championship golf courses, Santo de Serra or Palheiro Golf, you can enjoy a glass of famous Madeira wine. Perhaps a visit to Camara de Lobos (Winston Churchill’s favourite place), a little fishing village at the base of Cabo Girao. How about a trip to Porto Moniz at the far northwest end of the island where you can soak in the natural pools. Funchal is the capital of Madeira. Ancient streets, beautiful churches, great shopping and many great restaurants dot the city. Mykonos is the most chic and sophisticated of all the Greek Islands–instantly recognized by its glittering crescent of white-washed houses lining an azure bay. The beaches here are unspoiled and inviting, especially along Plati Tialos Bay. Miniature churches, lazy windmills, and tiny cafes serving up Greek specialties line the streets. Sample the freshest squid or lobster just snatched from the blue Aegean Sea, or shop for typical flokati rugs. of the greatest collections of mosaics in the Western World. city of Rhodes, was destroyed by an earthquake in 224 B.C. The largest of the Canary Islands, Tenerife boasts a rich variety of scenery and attractions, from lively resorts and volcanic beachs in the south to the lush interior of the Orotava Valley and the stunning lunar landscapes of El Teide National Park, dominated by 12,000 ft. snow-capped Mount Teide, Spain’s highest mountain. The historic capital, Santa Cruz, is in the north. Sicily, or Sicilia, has a population of almost 5 million. The terrain is mostly mountainous; its highest point being Mt. Etna, which is actually an active volcano stretching 11,000 ft from sea level. Sicily is the Mediterranean’s largest island, and its main crops are citrus fruits, vines, olive trees and cereals. Visit Six Flags Magic Mountain in Valencia, California.